A full crop and ideal harvest conditions lead to an excellent 2018 vintage at Ernst Loosen’s Villa Wolf winery. The growing season in the Pfalz region started early and the summer was very hot and dry, which led to another very early harvest. The yields were excellent compared to the small 2017 vintage, and we were quite happy to have such healthy grapes and high quality. The 2018 winter months in the Pfalz were mild and wet, which was good for the water supply in the soil. April was a very warm month; in fact, it was the warmest April on record. This lead to accelerated vine development, which resulted in a heavy workload in a short period of time for our vineyard team. This year there was an extraordinarily abundant flowering, which was the result of the very low yields we had last year. The flowering phase didn’t last long and proceeded without problems, so we had a lot of berries in the clusters. This already led us to expect a high yield for 2018, and we could also tell that harvest would start early by then. 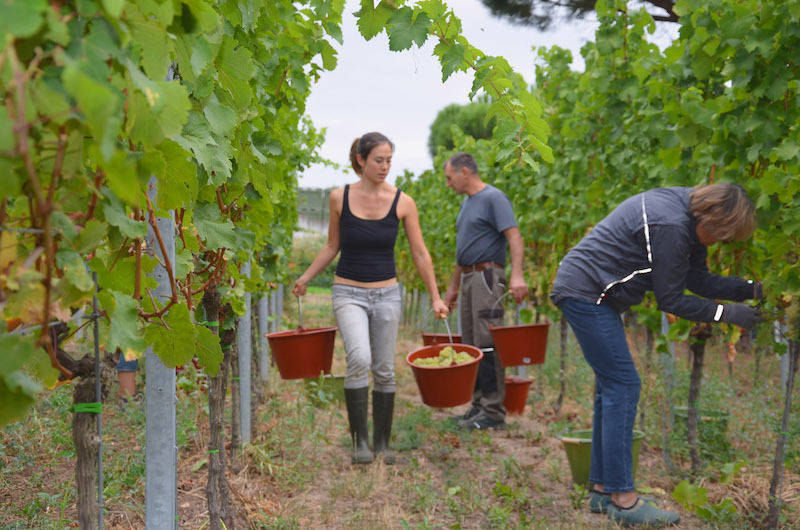 In June, high temperatures and some rain made work in the vineyards difficult. In July, there was a hail storm in the Wachenheim Königswingert vineyard, which supplies the grapes for our Wachenheimer Riesling. In addition, the situation with the heat and drought got more intense throughout July. With temperatures around 35°C (95°F) the topsoil dried out and the cover crop between the rows began to turn brown due to the lack of water. Ripening began in mid-July and the Pinot Noir grapes started to turn color on July 12. The first measurements of ripeness showed that the development of the grapes was advanced compared to 2017 and had similar values of those of the exceptional years 2003, 2007 and 2011. In August, the heat wave continued for several weeks, so the drought persisted, and the grapes continued to ripen quickly. The positive effect of the drought was that there was no threat to the grapes due to fungus or mildew. The grapes were healthy, but because of the dry conditions the development was a bit unevenly distributed. In some cases, even on the same vine, the grapes had different levels of ripeness. Those vines that were stressed by the drought produced berries that were small, with not much juice in them. The 2018 harvest period in the Pfalz was unproblematic and quite smooth. Because of the dry weather conditions and the healthy state of the grapes there was no need to rush. The vintage was characterized by good yields with excellent fruit quality. The harvest began on September 2, when we started picking the grapes for our Wachenheimer Goldbächel Riesling Sekt Brut. 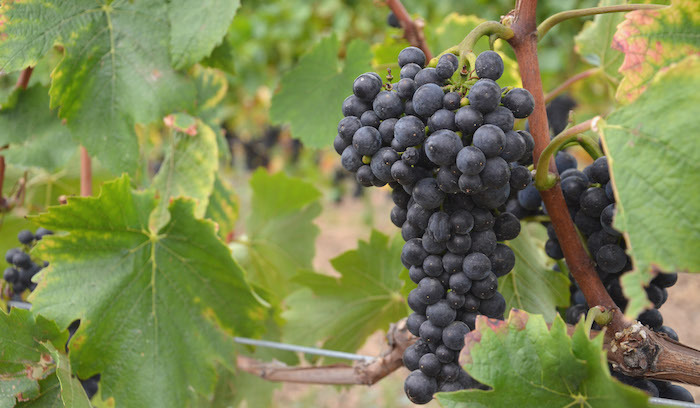 Starting on September 6, we began to harvest the Pinot varieties. After our initial fears of another hectic harvest, the ideal weather in September continued into a “Golden October,” which allowed for a longer and more deliberate harvest period. The harvest ended on the 11th of October, with the Riesling in our Ruppertsberger Hoheburg vineyard, which came into our portfolio in 2014. This is a very interesting wine as it produces a dry Riesling that approaches more of a Mosel style, due to its elegance.